While there are still some on the earth who claim climate change is a farce, the majority of us believe we need to throw everything possible into slowing down or solving the problem. Artificial intelligence (AI) and machine learning are two tools in our climate-change-halting toolbox. The more we utilise AI and machine learning technology to help us understand our current reality, predict future weather events and create new products and services to minimise our human impact our chances of improving and saving lives, creating a healthier world and making businesses more efficient, the better chance we have to stall or even reverse the climate change trajectory we’re on. Here are just a few of the ways AI and machine learning are helping us tackle climate change. Machines can analyse the flood of data that is generated every day from sensors, gauges and monitors to spot patterns quickly and automatically. By looking at data about the changing conditions of the world’s land surfaces that is gathered by NASA and aggregated at Landsat, it provides a very accurate picture of how the world is changing. The more accurate we’re able to be at the current status of our climate, the better our climate models will be. This information can be used to identify our biggest vulnerabilities and risk zones. 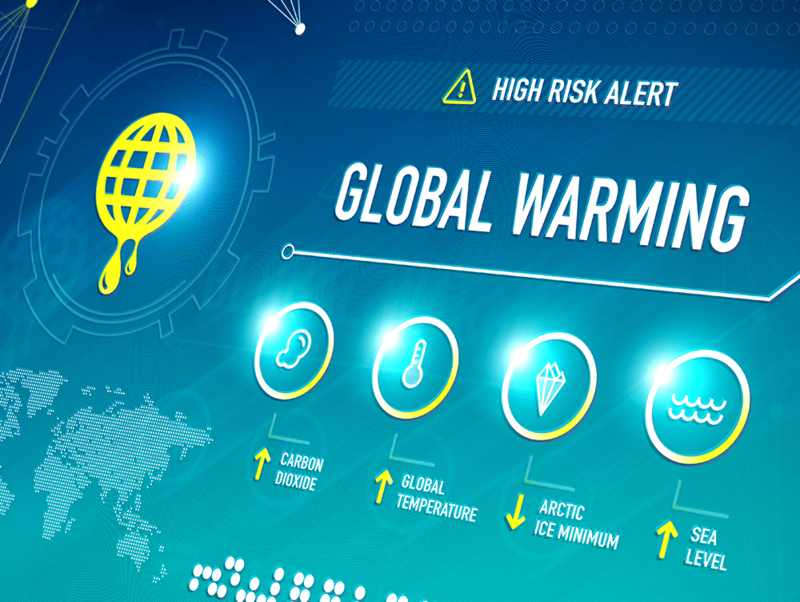 This knowledge from climate scientists can be shared with decision-makers so they know how to respond to the impact of climate change—severe weather such as hurricanes, rising sea levels and higher temperatures. Artificial intelligence and deep learning can help climate researchers and innovators test out their theories and solutions about how to reduce air pollution and other climate-friendly innovations. One example of this is the Green Horizon Project from IBM that analyses environmental data and predicts pollution as well as tests “what-if” scenarios that involve pollution-reducing tactics. By using the information provided by machine learning algorithms, Google was able to cut the amount of energy it used at its data centres by 15%. Similar insights can help other companies reduce their carbon footprint. While businesses and manufacturing might contribute significantly to greenhouse gas levels, it’s still imperative that each citizen commits to reducing their impact as well. The easier we make green initiatives for each person, the higher the adoption rate and the more progress we make to save the environment. Artificial intelligence and machine learning innovations can help create products and services that make it easier to take care of our planet. There are several consumer-facing AI devices such as smart thermostats (which could save up to 15% on cooling annually for each household) and irrigation systems (which could save up to 8,800 gallons of water per home per year) that help conserve resources. Everyone doing their part over time will add up. The damage to human lives and property can be reduced if there are earlier warning signs of a catastrophic weather event. There has been significant progress in using machine-learning algorithms that were trained on data from other extreme weather events to identify tropical cyclones and atmospheric rivers. The earlier warning that governments and citizens can get about severe weather, the better they are able to respond and protect themselves. Machines are also being deployed to assess the strengths of models that are used to investigate climate change by reviewing the dozens of them that are in use and extracting intelligence from them. They also help predict how long a storm will last and its severity. Since machines can’t tell you “how” it arrived at its prediction or decisions, most climate professionals don’t feel comfortable relying on only what the machines suggest will happen, but use machine insight along with their own professional analysis to complement one another. Climate change is a gargantuan problem and its complexity is exacerbated by the many people and players involved from divergent worldwide government entities to profit-driven corporations and individuals who aren’t always open to change. Therefore, the faster and smarter we can become through the use of AI and machine learning the higher our probability of success to at least slow down the damage caused by climate change.